To celebrate fifty years in the music business Norwegian country legend, Ottar ‘Big Hand’ Johansen decided upon a more proactive approach to appreciate this major landmark in his career. When most other artists are likely to be content with a ‘Best of…’ album to provide a retrospective of their careers after a similar length of time in the business, Ottar Johansen decided to take a more active stance by writing a whole new batch of songs rather than relying on his reliable back catalogue of material. By taking this more arduous route, Ottar Johansen has ended up with a ten-track album that acknowledges his past, but is also enthusiastic about the present and what the future may bring. From its opening song, ‘Starting All Over Again’, the desire to start afresh was greatly evident from the man at the centre of ‘Big Hand – 50 Years On The Road’; the album which is currently winning over the critics and reminding fans of what Ottar Johansen still has to offer. The truth of the matter is that a whole new long player, as opposed to a collection of hit songs, was always on the agenda for this Norwegian singer-songwriter when considering the strong work ethic Ottar Johansen has held his entire working life in order to get to the position of where he finds himself now. The road to this success as a recording artist has been achieved by undoubted musical talent, but also hard graft that has seen Ottar Johansen work in numerous positions; one of which matched one of his idols, Elvis Presley, with a stint as a truck driver before the former and latter artists made the bigtime. In addition to all of the hard work being integral to the success experienced by Ottar Johansen, the country musician also admits to being “A little stubborn”, but understands that such an attitude has performed an important role as he explains: “You have to be like that, to go for something like this [work as a musician] and try to make a living, which is something special”. It’s this very respect that he holds for his career and awareness of the privileged position that he finds himself in, to still be working as recording artist, that also played its part in the longevity of Ottar Johansen’s career, which began in earnest fifty odd years ago when guitar pop was all the rage. Was it around this time that you’re interest in travelling to America and trying to make a name for yourself in the States occurred? This love for Nashville seems to have rubbed off on half of the inhabitants of Norway because there is a real affection for country music in this particular part of Scandinavia. So much so that you have the likes of hugely successful country artists such as Brad Paisley setting out special compilation albums dedicated to the fans of Norway with titles such as ‘Norwegian Favourites’, which goes someway to explaining the fervour held in Norway for this genre of music. 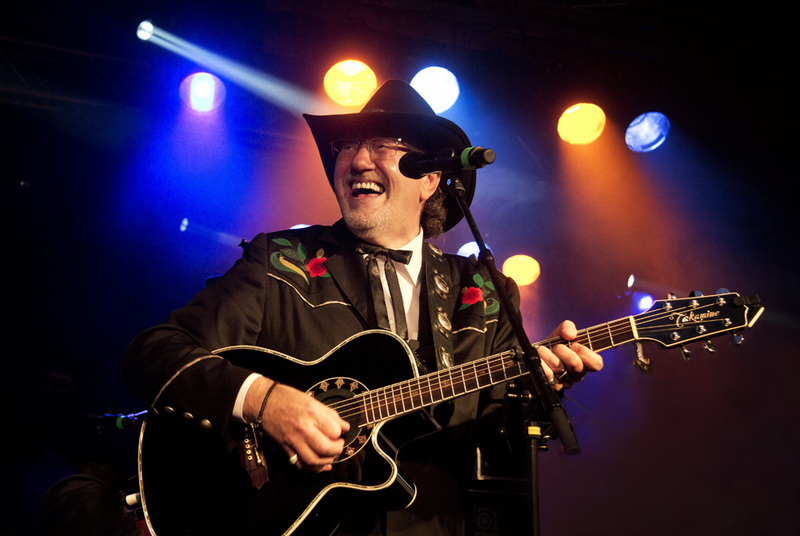 Perhaps Ottar Johansen can shed some light on why there is such a strong connection between Norway and country music? Ottar Johansen’s early visits to America led to him gaining considerable recognition from country fans overseas, but it also earned him much recognition from some of the big names in the business including George Jones, Johnny Cash and Waylon Jennings. It was interesting to read that George Jones, outside of his country music, dismissed his rockabilly recordings of the 50s. From such experiences Ottar Johansen has built up his music and reputation, which brings us back to his latest album ‘Big Hand – 50 Years On The Road’ because such experiences are greatly interconnected to the musical influences and narratives making up this record. In fact, one only has to gaze at the titles to gain an insight of the history behind these songs with ‘Just Like In The 50’s’, ‘The Outlaws’, ‘Gods Own Sailor’ and ‘Honky Tonks We’ve Known’ the most visible. There is one other aspect to consider regarding these songs, however, and that is whether they are a reaction to times lost and the present environment Ottar Johansen now finds himself in where country music has traded jackets from its traditional roots to something more modern. Do you see that as a good thing or a bad thing? Ottar Johansen’s vast experience is noted in such songs as the aforementioned ‘The Outlaws’, which is an accumulation of various creative thoughts but also part tribute to two of his heroes – Waylon Jennings and Willie Nelson – “I called it [originally] ‘Waylon and Willie’ but changed it to ‘The Outlaws'”. In addition it’s the song’s ability to enthral the senses with its charismatic storytelling and evoke memories of a traditional country sound, and it’s this experience which seems to lend itself to country music rather well and one of the reasons why Ottar Johansen demands so much respect. 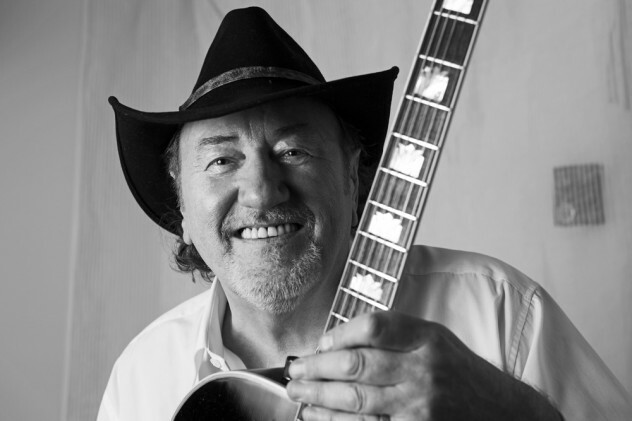 By supporting several of country music’s legends and performing regularly overseas and in his native Norway as mentioned, the vast experience built up by Ottar Johansen over the years has enabled him to write ten new compositions for ‘Big Hand – 50 Years On The Road’ due to the high number of stories to tell, but also it has allowed for an open working environment where other musicians have been asked to partake on the album due to the international outlook on life acquired by Ottar Johansen as well. How did the collaborations come about with the artists featured on your latest album? With the whole recording process for ‘Big Hand – 50 Years On The Road’ being an open experience, did this create any problems due to the possibility of too many ideas bounding about between the musicians? Did you come up with any other names for the album title or was it always going to be, ‘Big Hand – 50 Years On The Road’? Did the actual songs for this new album come together quite quickly once the song writing process was underway? Do you have a favourite track from the album? Do you see this song as a celebration of your life then? 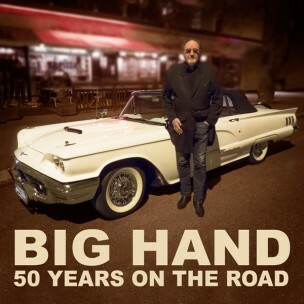 Very interesting artwork for ‘Big Hand – 50 Years On The Road’ as the car you’re standing in front of has the appearance of a toy model car. Care to elaborate? Considering your passion for vintage American cars and taking into account your song from your latest album, ‘Just like In The 50s’, would you like to travel back to this particular era? What’s next for Ottar Johansen? Can you explain more about the gigs in Spain because that is new to FLW? 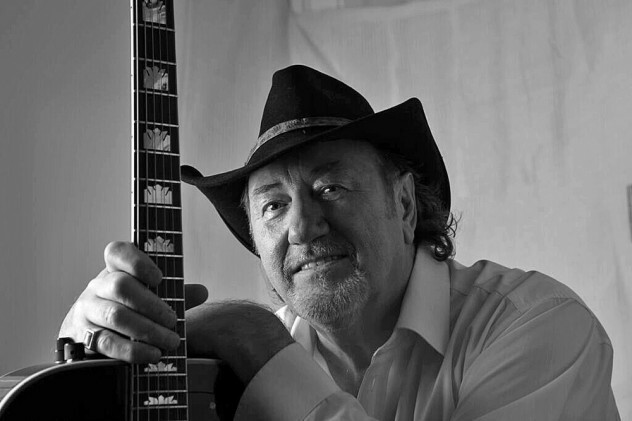 Meeting others and continuing his musical journey is something that Ottar Johansen is right on course to do with a number of live dates taking in various countries and a strong desire to maintain the song writing momentum now that ‘Big Hand – 50 Years On The Road’ has received such a positive reaction. Clearly, ‘Big Hand’ is back and raring to go when it comes to the next instalment of his career. I've always had that drive in me that I've always wanted to succeed in what I was doing."